Before we can talk about finances, you need to make sure your photography business is legit. Maybe you’ve made it “Facebook Official” with all of your friends and started a fan page. You’re a photographer for hire! Woot! Advertising is great. However, the IRS and your state don’t care about advertising – they care about taxes. We need to make sure we make them happy too. 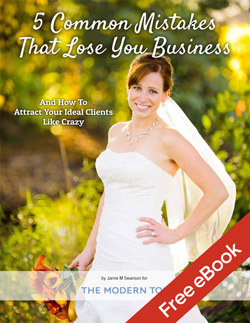 If you want people to take your business seriously, then YOU have to take your business seriously and get legal. If you haven’t already, you will need to register with your state and the IRS. (For our readers around the world, the IRS is our national tax service. You probably also have some registration to do with your governmental bodies – we just aren’t familiar with them). Sole Proprietor: This is the easiest because often there are no forms to file and the taxes go right on your personal tax return. The danger with being a Sole Proprietor is that you are open to all of the liability of your company. This means that if someone sues you, they can go after all of your personal holdings as well. Your house, your retirement, your car, your laptop: it’s all at risk. LLC: An LLC gives a legal separation of liability, protecting your personal assets. A single member LLC can have their taxes just pass through to their personal tax return like a Sole Proprietor. If there are multiple members, they are taxed as a partnership. There is paperwork to file in your state and with the IRS, but it honestly isn’t too bad. S-Corps and C-Corps: These are the most complicated and costly. Most single person photography business don’t need to be a corporation, however in some cases this may be a more profitable way to run your business. Talk it over with your accountant. Yes, you need one. This is non-negotiable. We’ll talk about finding a good one in a moment. You can also do some more research on sites like nolo.com. I personally am an LLC because I wanted that legal separation between the business and personal assets. An accountant can help analyze which structure would be best for you to save you the most money so they’ll pay for themselves right off the bat. There’s no easy “one size fits all” choice for everyone, so definitely ask them what they’d suggest. I’ve Picked a Business Structure: Now What? There are places that can help you get set up (LegalZoom.com (affiliate link), your accountant, etc.) but the first thing to do is to Google “setting up an LLC in [insert your state here]”. Each state’s Dept of Revenue/Business Services website and phone center can be very helpful in getting things setup. Don’t be afraid to give them a call if you’re unsure about something. Or, simply have your accountant set it up for you. It just sounds confusion, right? It’s not: it’s the Employer Identification Number. You don’t need one if you’re a sole proprietor. For everyone else, you’ll use it to help the banks identify the business as an entity when signing up for accounts. You can setup your EIN on the IRS website. It’s fast and easy to do. In some states you also have to apply for a sellers permit for sales and use tax purposes. If you want to be legit, you need to be collecting and paying sales tax. Check with your state to figure out if and how you set this up. (Again, Googling “setting up sellers permit [enter your state here]” will start you off on the right path). The first thing you need to do is draw a huge line in the sand to say what is business and what is personal. You don’t want to mix the money. If your business and personal purchases are all mixed together in one account, the IRS thinks it looks more like a hobby and less like a business. This makes it harder to get deductions for your business expenses. So how do you draw that line? With separate financial accounts. We’ll be talking more about what accounts you’ll want to create in the future (so sign up via email to make sure you don’t miss it! ), but I believe Credit Unions are the way to go when it comes to banking. They generally don’t charge for accounts (and when you have multiple accounts, that’s a great thing), they pay dividends (because you’re a member/owner) and they don’t have the nickel-and-dime fee system that most banks have right now. Get out and get yourself a bank account for the business. You will probably also want to get a credit card for the business as well. It doesn’t have to be a business card. Just use it ONLY for business expenses. Unless you left your CPA work to become a photographer, you’re probably not an accountant. Maybe you’ve done your own personal taxes for a while (1040EZ baby!) and that’s great. 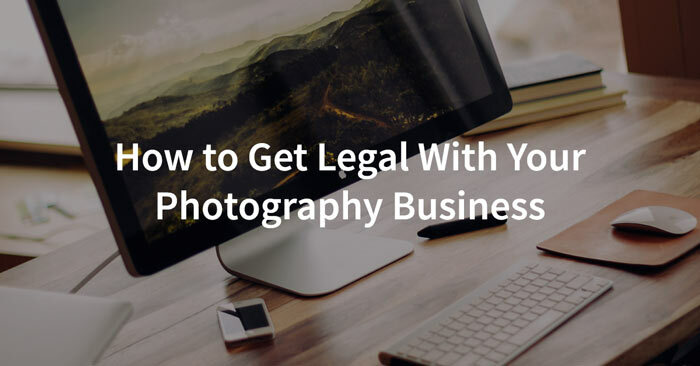 However, with a photography business, it’s really important to have someone on your side who knows the ins-and-outs of tax law as it pertains to businesses. It’s worth it to seek out a qualified tax professional, as they’ll often save you more money than you’re paying them, and you have the peace of mind knowing that everything is being done correctly. You’ll have the peace of mind knowing that you won’t be hit with major fines or penalties down the road. Just as a camera doesn’t make a someone a photographer, a calculator doesn’t make them an accountant, right? So how do you find a good one? Start by asking other photographers in your area. It’s great to have someone who knows the things photographers deal with often. You want to find someone that you can have a good working relationship with AND knows the accounting world. While it takes a bit of work to get things set up, it’s really not as bad as it sounds and you only have to do it once (thankfully!). After that, it’s simply a matter of maintaining your books and sending in the correct forms at the correct times. Sounds easy, but it is easy to get disorganized and let things slip. So the next step is to create a system that is going to help you stay organized so you don’t have to stress. If you’re looking for an easy system that is quick to learn and will help you stay organized, I’ve partnered with my colleague Andy Stenz to create an easy-to-use excel spreadsheet that anyone can use (even if you’ve never opened a spreadsheet in your life). 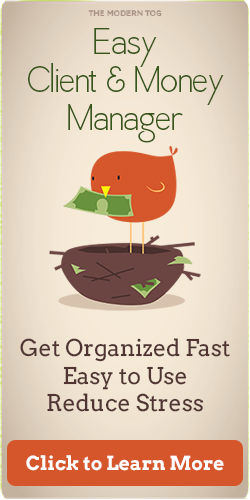 It’s called the Easy Client & Money Manager: a tool to make staying organized and on top of your books super easy. No more receipts shoved into a shoebox that you have to sort through at tax time. This workbook will keep everything you need all in one place, and it’s very easy to learn and use. To learn more about the Easy Client & Money Manager, Click here now.